Ever wondered how many unique website domains are registered out there? 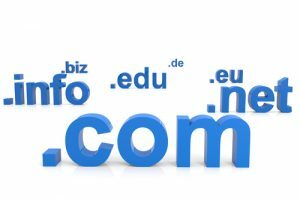 Well a visit to domaintools.com reveals that at the time of writing this article, the active number of “.com” domains alone is almost 80 million. By contrast the number of “.jp” domains finally passed the 1 million mark in 2008. With such a huge disparity you might well ask “why bother with anything other than the industry standard ‘.com’ domain name extension”? In this article we are going to look at whether you need a Japanese domain name and what your options are. Can’t I just use “.com”? If your target audience is truly a global one then there probably isn’t any need to look at the alternatives. Many successful Japanese companies choose to operate with a “.com” domain. However, if you are specifically targeting customers in Japan you should at least consider the advantages a local domain name extension will give your site in Japanese language search rankings. Most SEO experts will agree that Yahoo Japan and Google Japan give extra search engine result weighting to “Japanese” websites since these sites are more likely to carry content relevant for their users. So for this purpose a search engine will look at the domain name extension of websites in its search index. Before going further, lets look at what local Japanese domain name options are available. Prior to Jan 1st, 2001 the standard Japanese domain extension was “.co.jp”. These are still used by a large number of companies but there are some important bureaucratic obstacles that make this option less attractive. Firstly, it is available only to a locally registered business entity and you will need to provide documentary proof of the fact. Secondly, you are limited to only one domain per business. So for example if you registered “abc.co.jp” and then later decided to you would also like to add “xyz.co.jp” you are stuck. Another option which has been available for a while is to register an IDN (International Domain Name). This means that rather than alphanumeric characters you can in fact register a domain name using Japanese Kanji/Katakana/Hiragana script. Extending this is the ICANN decision in 2008 to liberalize domain name extensions. So as of this year it will be possible to have a Japanese script domain name PLUS Japanese script domain extension. However before you go rushing off to stake a domain claim on www.日本.日本 you should consider that there are significant problems with IDNs in general. Firstly, if your user is at a computer which does not have East Asian character IME support installed, there is effectively no way to conveniently access the site. Unless it is already bookmarked there is no way for users to enter the URL directly into the URL browser box. Secondly, there are important browser and mail agent constraints. Most browsers will reinterpret the URL request, so アニメ.com will resolve to http://www.xn--cck5dwc.com/. The important exception is Internet Explorer 6. A lot of people are still using this old browser (unfortunately) which effectively shuts them out from accessing your site. A related problem is the issue of email. NO email system currently supports Japanese characters as part of the email address. So in the case just mentioned you would be telling your business partners to contact you at “johndoe@xn--cck5dwc.com”. Unless you are Rain Man that fails the phone message test. Thirdly, kanji itself is a problematic language script at times since many words sound the same phonetically but use different kanji symbols. So again, when telling someone you IDN verbally, you will need to sometimes be clear about which kanji character set you are referring to from potentially a list of identical sounding words. Finally, there is a usability barrier even for people who are familiar with Japanese as their native language. A good article here at Stippy.com best sums up the keyboard gymastics required to enter an IDN. So although promoters of IDN domain registries will no doubt beg to differ, it seems that choosing a Kanji/Katakana/Hiragana domain and/or domain extension for your site is probably a poor decision. In any case it would seem anecdotally that most Japanese who are comfortable with using computers are also comfortable with using Latin alphabet Romanji characters. This leaves two further options, the “.jp” and “.ne.jp” domain extensions (there is no real advantage between the two, except that the first option has fewer characters). For businesses or individuals who want to target a specifically Japanese audience, a .jp or .ne.jp domain are the best choice. They come without the bureacratic hang ups of “.co.jp” and without the technical and usability traps of an IDN. Some people might ask, “but doesn`t a ‘.co.jp’ domain give more credibility?”. Well to answer that we would say that it apparently hasn`t harmed some of Japan`s most successful web companies. A further advantage of choosing a .jp or .ne.jp is that there is a much greater possibility of getting the ideal domain name for your site. Most of the best “.com” names were snapped up long ago. However there are many good domain names still available with “.jp” or “.ne.jp” extensions. We should also mention the downside of local domain names. Whereas “.com” domains can be bought for around $10-$15 a year (sometimes included for free with hosting packages) a Japanese domain name extension will cost several times this amount . You will need to do the math for yourself but usually the extra investment will pay off with improved search engine visibility if you are selling something to a Japanese market. Where can I buy a .jp domain? .JP Domains can be registered by anyone. We provide you with local presence at no extra charge. There are no restrictions to the number of .JP domains you can register. Address validation—Registrant contact address must be in Japan. Phone number validation—Registrant contact phone number must be in Japan.